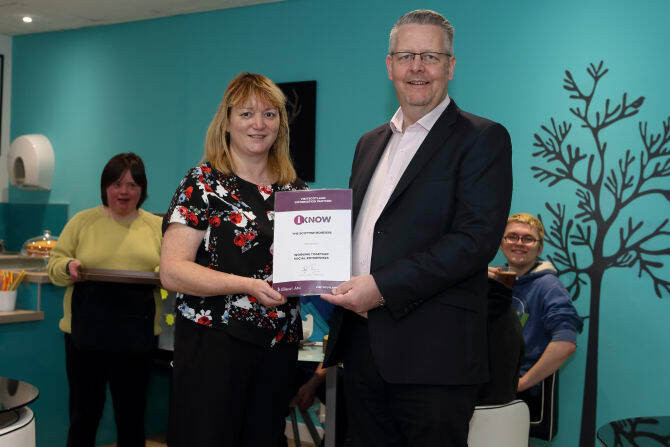 EDINBURGH, Scotland, 2017-Mar-21 — /Travel PR News/ — A SCOTTISH BORDERS charity which provides training and work experience to adults with learning disabilities has become the first social enterprise in the region to sign up to VisitScotland’s Information Partner (VIP) programme. Bread Works is an organic bakery producing artisan bread in Tweedbank. Run by the Brothers of Charity Service, Bread Works, alongside its sister organisation Gardenworks, it provides placements to adults with learning disabilities offering the opportunity to develop hands-on experience in the workplace. Situated opposite Tweedbank Railway Station, Bread Works has now joined an exclusive network of VisitScotland Information Partners (VIPs) by committing to actively promote the local area and services offered by local businesses. It is the first social enterprise in the region to sign up to the scheme and joins a list of 36 VIP Quality Assured businesses in the Scottish Borders. Its membership to the scheme coincides with the opening of a new café – Whistle-stop – on site. As well as customer service skills, staff will now be offered the unique opportunity to develop knowledge and information to visitors arriving off the Borders Railway. Bread Works Employment and Enterprise Manager, Mandy Lowrie, said: “We are delighted to join the VisitScotland Information Partner (VIP) scheme and to work together to ensure that visitors to the Scottish Borders get access to all the information they need to make the most of their visit. “We are in an ideal location to offer passengers on the Borders Railway the chance to arrive in Tweedbank and make the short journey to our café for a bite to eat and the opportunity to discover the wide range of attractions and events in the local area. VisitScotland Regional Director, Doug Wilson, said: “We are delighted to welcome Bread Works to our VIP programme, the first community initiative to sign up to the scheme. This entry was posted in Tourism, Travel, Travel Management, Travel Marketing, Travel Services and tagged Bread Works, Doug Wilson, Information Partner Programme, Mandy Lowrie, Scottish Borders, Social Enterprise, VisitScotland. Bookmark the permalink.